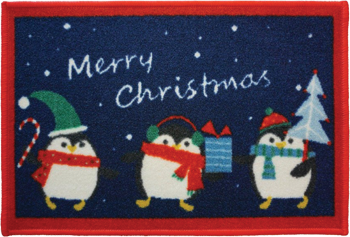 With Christmas just about to knock at your door, we thought we could do something special for our valued Rug Shop customers. 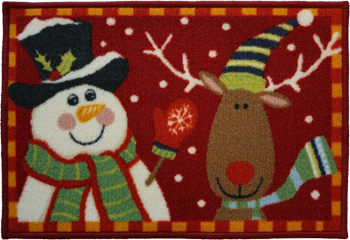 A Christmas Mat worth £29.99 is waiting for you for free. 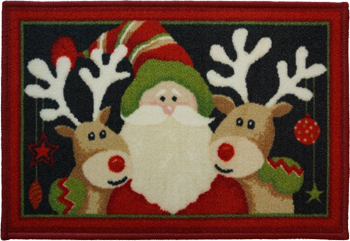 All you need to do is post and share a picture of the rug you purchased from us with your order number on our facebook page. Note: You've to use your own room setting images not the one on our website. Made with 100% Nylon which ensures durability. Anti-slip backing to avoid slips and falls. Easy to care and machine washable. Applicable for UK Mainland only. Additional postage charge will apply for other delivery postcodes. Delivery time of these mats is 3-5 working days. 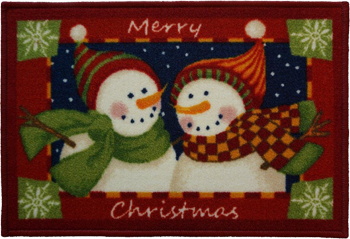 Rug Shop will have the copyright on the pics you provide us on our facebook page. Offers ends midnight 10th Dec 2017.